If you are like most of us, you probably don’t nitpick each deduction on your paycheck every pay day. You know that the basics come out. There’s taxes, your healthcare premium, and of course, Social Security. But when is the last time, if ever, you actually thought about just how much of your hard-earned money is going to Social Security? Between you and your employers, you’ve doled out 12.4% of your annual income. And that is true all the way back to your first job as a teenager. So by this point, after years of paycheck after paycheck, it's added up to a substantial amount. So substantial that it could even make your 401(k) look like chump change. Realizing this, why wouldn’t you want to maximize your benefits so don’t unknowingly forfeit money that’s rightfully yours? As we all know, Social Security is a quite complicated system. And unfortunately, people mistakenly believe false information and incorrect assumptions about how this system actually works. Some of these mistakes are minor, but others can be pretty drastic and can even bring about financially devastating results. That is a scary thought, so today we want to uncover some common Social Security myths and expose the truth to help you avoid leaving your money on the table. Unfortunately, you can’t control whether the Social Security program fails or succeeds. Therefore, your best plan of action is to educate yourself and plan ahead accordingly. One great way to do so is to create an account on the Social Security website in order to understand your current benefits and know where you stand. And keep in mind, a great deal of things can happen between now and 2034 that could impact the program. So, don’t believe the agitated assumption that there will be no money left for you by the time you are ready to retire. Many believe that the amount of Social Security they pay is being stored up for them and that saved money is what they will get back once they retire. That is simply not true. What actually happens is the taxes that every income earner pays out are pooled together and then paid out. So, your current contributions are supporting others now, and when you retire the money others pay into the system will support you. In 1960, the amount of contributing workers-to-beneficiaries was 5:1. In 2013, it was 2.8:1. (2) So, even though the number of workers paying Social Security is decreasing there are still more paying in than receiving benefits. However, as time goes on and our life expectancy keeps increasing, there is a possibility that you may need to mentally prepare for your benefit amount to be less than you expect. Many believe that everyone pays an equal percentage relative to the amount they make. For example, everyone pays 5% of their net income implying that someone who makes $5 million per year is contributing much more than someone who makes $25,000. Unfortunately, that is just not true. The reality is that every employee pays 6.2% out of their paychecks, with their employer paying another 6.2% as well, to fund Social Security. (The tax rate for self-employment income in 2018 is 12.4 percent.) This is subject to an earnings cap of $128,400 in 2018. So, if you earn $129,000 per year, and your neighbor earns $5 million you will both pay the same Social Security deduction of $7,960.80. (3) Everyone pays the same total amount, with the exception of those making less than $128,400 who contribute less. If this earnings cap was eliminated, it’s estimated that 71% of the trust fund shortfall could be wiped out. As we just learned above, collecting your Social Security benefit before you reach your Full Retirement Age will result in you forfeiting a percentage of what you have earned and accepting a lower payout. But, did you know that for every year beyond your FRA that you delay taking benefits the value increases by 8%, all the way up until you reach age 70. There is nowhere else you can get an 8% return guaranteed by the U.S. government! (6) This means that your benefit amount is not fixed, and depending on when you begin to collect you will either leave money on the table, receive exactly what you’ve earned, or even make out with some extra. This is only true to a certain extent. Social Security benefits are not taxed if you are not receiving any other form of substantial income or are above your FRA. Once your income supersedes that limit, your Social Security benefit will be reduced by $1 for every $3 you earn. As soon as you have your birthday and reach FRA, though, all limits are lifted. You can earn as much as you want and it has no effect on your Social Security retirement benefits. Many people believe that if they receive benefits based on their ex-spouse’s record it will affect the benefit of their ex-spouse. The truth is actually just the opposite. The amount of benefits you would receive based on their record actually has no effect on the benefits of your ex-spouse or their current spouse. 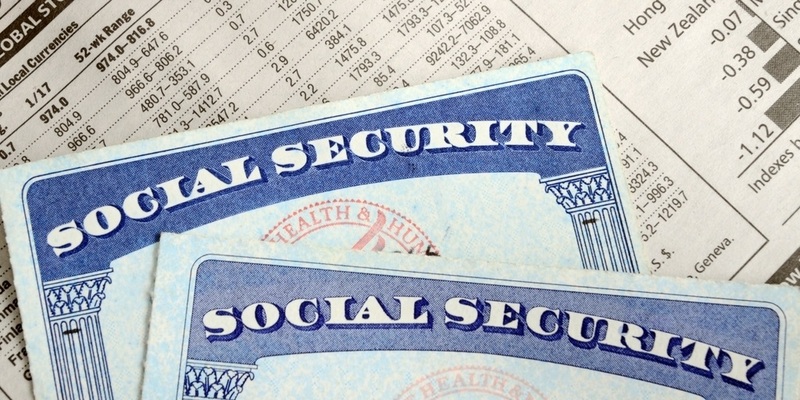 While it may seem like there is a lot of stress involved with making sure you optimize your Social Security benefit the fact is Social Security remains a major piece of your retirement puzzle. It was designed to replace 40% of an average worker’s wages, (12) and that’s a significant amount of money you don’t want to just throw your hands up and walk away from. However, there is a lot to know to make sure you maximize your benefit. And since there is no one-size-fits-all claiming strategy, it is imperative that you work with an experienced professional who can provide you with confidence and make the whole process much less overwhelming. At Haydel, Biel & Associates (HBA Wealth), we draw out what is most important to your quality of life and help you develop a solid plan to reach your long-term dreams, with the goal of helping you create a substantial stream of income to provide for you and your family in your retirement years. If you want to maximize your Social Security benefits and plan for financial security, Contact Ricky Biel at (626) 529-8347 or email him directly at [email protected].